By John Finnemore. 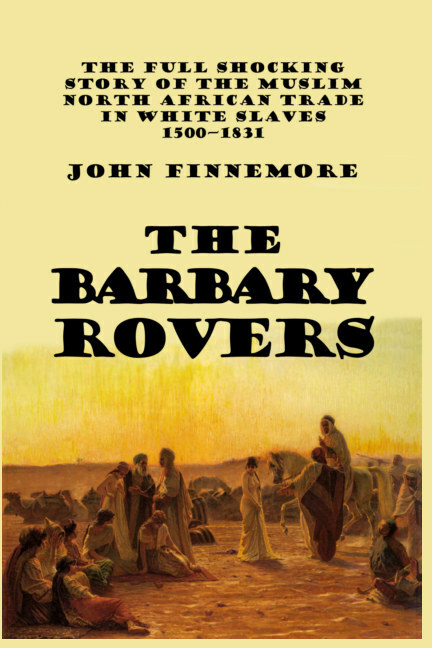 The Barbary pirates operated for over 300 years from the time of the expulsion of the Moors from Spain in 1492 until the occupation of Algiers by France in 1831. More than one million Europeans were seized in raids on Europe’s coasts while citizens from every white nation whose ships sailed the seas, fell victim to the Muslim slave traders. 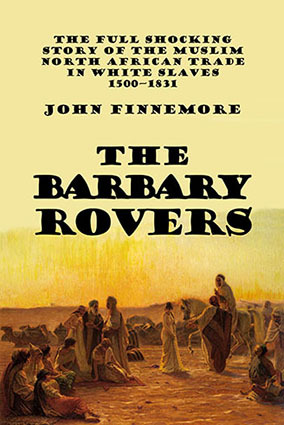 This book, first published in a time when authors could speak freely, pulls no punches on the racial undertones to the North African slave trade, and provides a complete overview of the rise of the “Scourge of Christendom” until its destruction at the hands of combined European and American military strikes in the early nineteenth century.